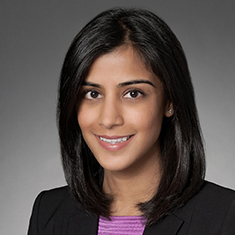 Prachi Gokhale represents various participants in the structured finance market, including issuers, underwriters, lenders, borrowers and government-sponsored enterprises (GSEs) in corporate and capital market transactions. She has worked on a variety of transactions, including asset-backed and mortgage-backed securities offerings (with an emphasis on automobile loan, automobile lease and mortgage loan securitizations), warehouse financing programs, revolving credit facilities and term loans. Her mortgage loan experience includes real estate mortgage investment conduit (REMIC) and risk sharing trust structures collateralized by performing, reperforming and nonperforming loans. Prachi has experience with both public and private transactions in the United States. Shown below is a selection of Prachi’s engagements.